"Great White Way" is a nickname for a section of Broadway, specifically the portion that encompasses the Broadway Theater District, between 42nd and 53rd Streets. By the 1890s, the portion from 23rd Street to 34th Street was so brightly illuminated by electrical advertising signs, that people began calling it "The Great White Way." When the theater district moved uptown, the name was transferred to the Times Square area. 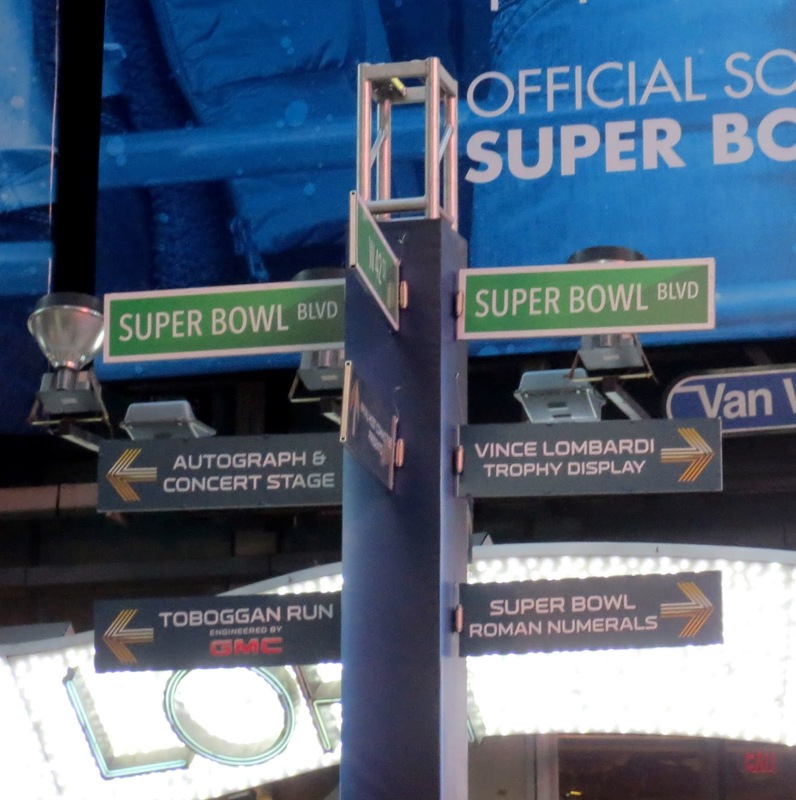 Now for several days 13 blocks of Broadway between 34th and 47th Streets are named "Super Bowl Boulevard". The visitors can sled down a 60-foot toboggan run ($5 per ride). Organizers expect more than a million people to visit the boulevard between now and Sunday.